easyMarkets has an Australian Financial Services License (AFSL) issued by ASIC, License number 246566 and Cyprus Securities & Exchange Commission, License Number 079/07. Clients money remain separate to operating funds of easyMarkets in segregated accounts, in top tier, low credit risk, global banks. The easyMarkets platform and MT4, which can be accessed on smart phones, tablets or desktop. The MultiTerminal platform is also available for money managers. easyMarkets does not have a minimum deposit on standard accounts. Proof of ID – A clear copy of your driver’s license, national Nigerian ID card or your international passport. Proof of Address – A clear copy of a recent utility bill, bank statement or any other local authority bill. Your proof of address must include your full name and address, and have been issued within the last 6 months. Bank transfer, Credit / debit / online cards, eWallets – Skrill, Neteller, Webmoney, American Express, etc. No commissions. Withdrawals are requested via same deposit method. easyMarkets are incredibly easy to contact for help and support. If you’re looking for a broker who’s support staff is polite, helpful and takes your queries seriously, you need not look any further. The way that a broker treats their clients is extremely important and easyMarkets have been treating their clients very well, and with an air of professionalism that makes it hard for other brokers to beat. At the time of opening a trade, you need to click on their little green shield icon to indicate that you’re turning on dealCancellation for that trade. Then in your Open Trades report, you will see a list of all trades and the ones with the feature enabled are indicated clearly. Click on each deal to see the time left that you have to cancel it, should you wish to do so. You have a set time limit to cancel trades and can do so, even if you have already hit the stop loss. When a deal is cancelled, the amount of risk of your trade (your loss) is returned to your account. easyMarkets have a great all-round package to offer traders who are looking for low risk investment. Their support team make working with them enjoyable, and their trading tools and features are world-class that makes this broker a tough one to beat. 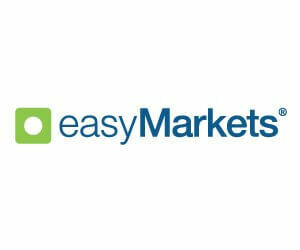 Sign up with easyMarkets now or read more broker reviews here.